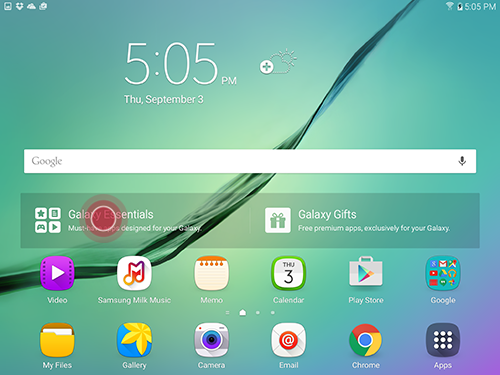 How do I access recommended applications on my Galaxy Tab S2 using GALAXY Essentials? 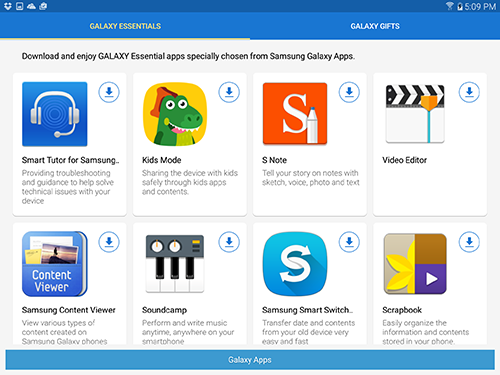 Galaxy Essentials is a collection of specially chosen applications available through Samsung Galaxy Apps. 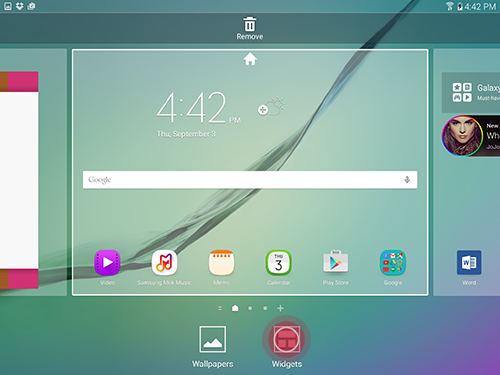 From the Galaxy Apps widget, you can access and download a collection of premium content, free of charge. 1. 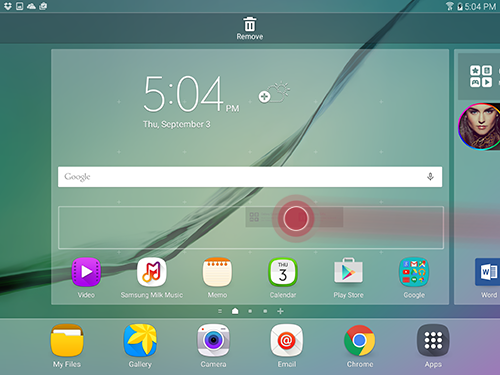 From a Home screen, touch and hold an empty area on the screen. Or pinch your fingers together on the screen. 3. 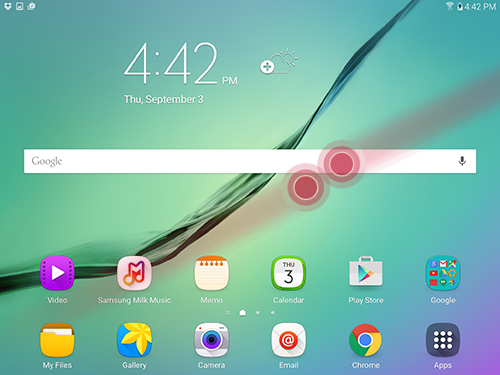 Scroll to and locate the Galaxy Apps widget. 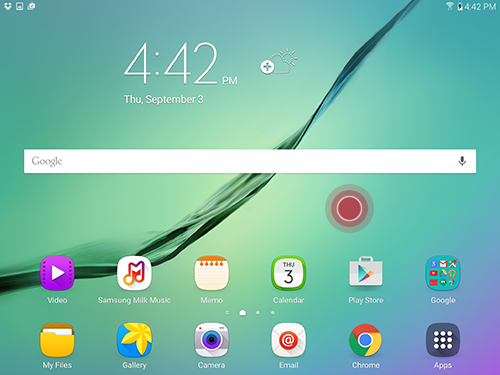 Touch and hold Galaxy Apps widget. 4. 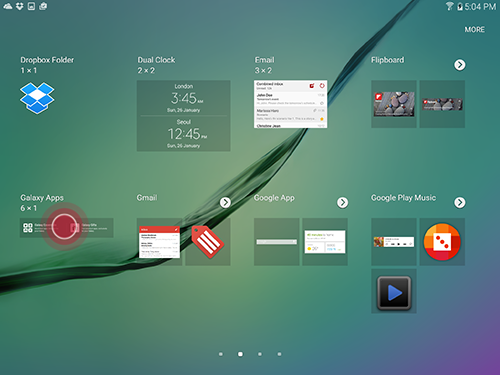 Position the widget and release it to add it to the Home screen. 5. If there is not enough room on the current Home screen, it will be added to the next Home screen with space available. 1. Swipe across the Home screen to locate and touch the Galaxy Essentials widget. 2. Touch an application to see more information or touch to download and install application. 3. 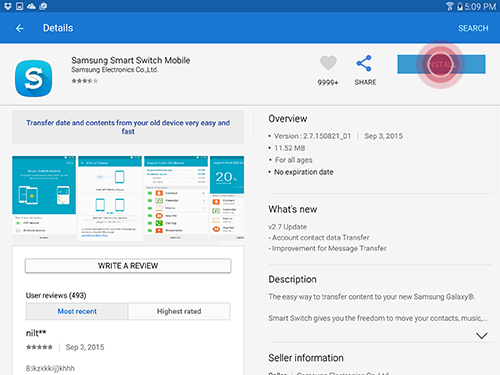 Touch INSTALL to download and install application to your device.